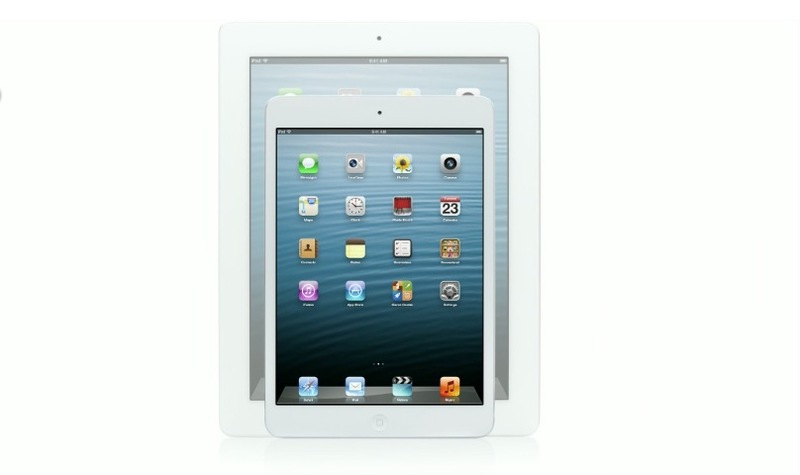 At Apple’s live event in San Jose, the company has announced its iPad mini, a smaller version of its iPad tablet. “This isn’t just a shrunken down iPad,” says Apple’s Phil Schiller, touting its craftsmanship. 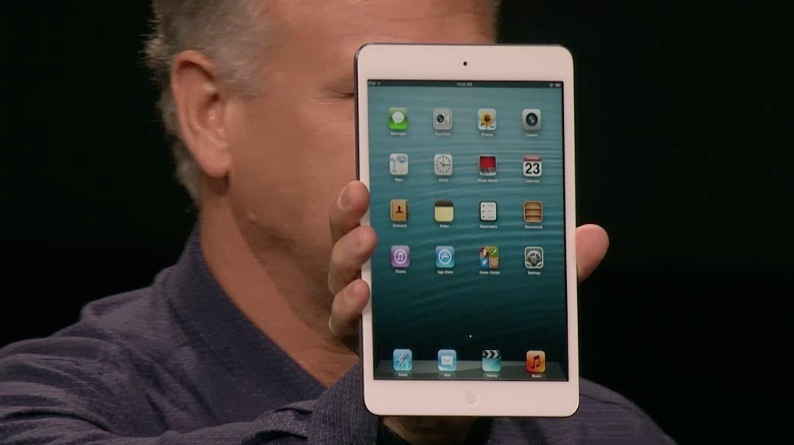 The iPad mini, is 7.2mm thick. 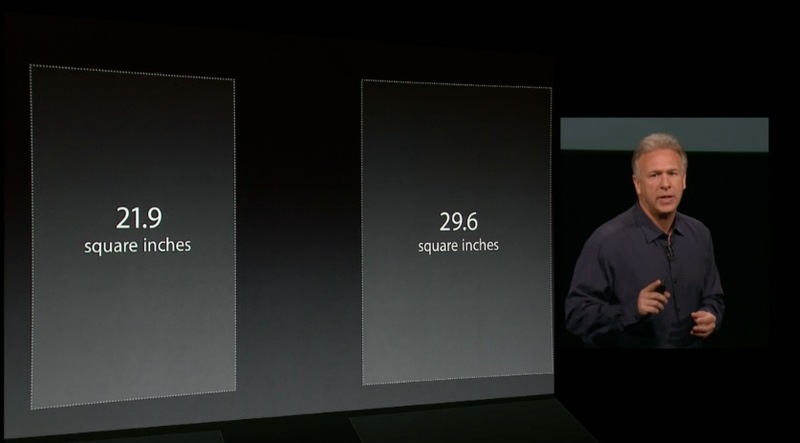 That’s about a quarter thinner than the 4th gen iPad. 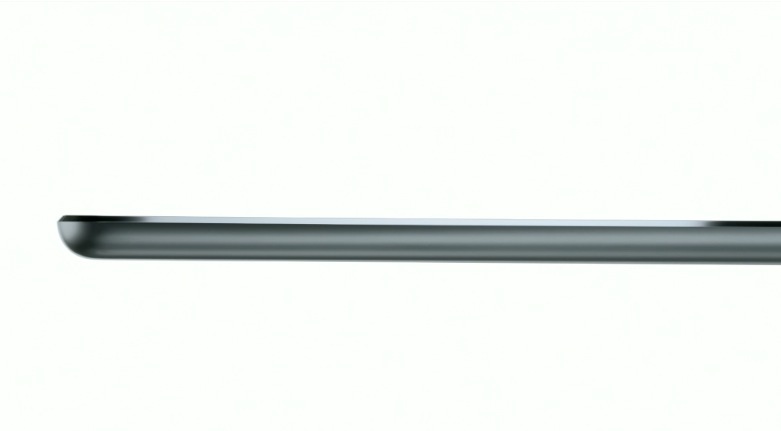 Schiller called it “thinner than a pencil.” It’s 0.68 lbs and 53% lighter and comes in black and white. The 1024×768 resolution means that it is the same as the iPad 2. “iPad mini is every inch an iPad, he said. “With its gorgeous 7.9-inch display, iPad mini features the same number of pixels as the original iPad and iPad 2, so you can run more than 275,000 apps designed specifically for iPad. The LTE models will run more. Pre-orders begin this Friday, October 26th and the WiFi models ship November 2nd. It features an A5 chip, Lightning connector, 5MP back camera and FaceTime HD front camera as well as 2x faster WiFi and 10hr battery life. It will also feature LTE connectivity. 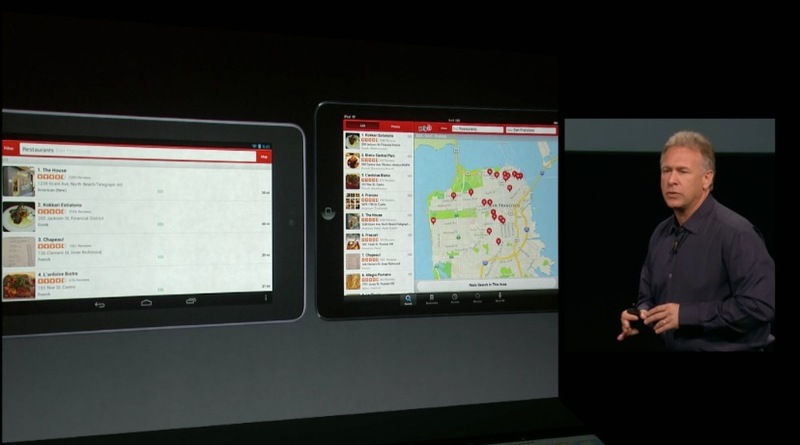 Because the resolution is the same, says Schiller, iPad apps will work exactly the same on the smaller iPad. He went on to say that other devices are plastic, thicker and heavier even though they’re made of plastic and Apple’s is made of aluminum. The diagonal size makes it 49% larger for surfing the web, with 35% more surface area than 7″ tablets. Schiller also compared Android apps versus iPad apps that have been designed specifically for tablets, versus being scaled up from their phone versions. Notably, he never mentioned the name of any other products, though referring to them as inferior. 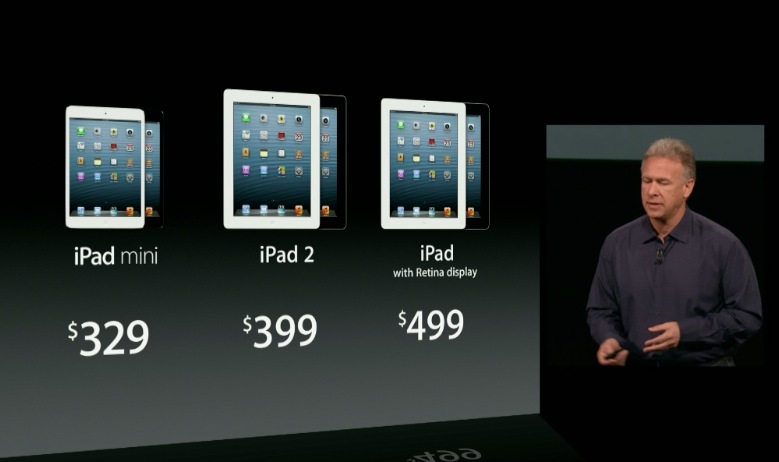 The iPad mini will be available for pre-order beginning October 26th with the WiFi models shipping November 2nd. There will be LTE models but they will be coming later. Rumors of an iPad mini began in earnest earlier this year with some part leaks of potential casings for the back of the device. The steam built as leaks from suppliers and sources exposed the size, shape and potential specifications of the device. I’d like to comment on the avalanche of tablets poised to enter the market in the coming months. First, it appears to be just a handful of credible entrants, not exactly an avalanche. Second, almost all of them use seven-inch screens as compared to iPad’s near 10-inch screen. Let’s start there. One naturally thinks that a seven-inch screen would offer 70% of the benefits of a 10-inch screen. Unfortunately, this is far from the truth. The screen measurements are diagonal, so that a seven-inch screen is only 45% as large as iPad’s 10-inch screen. You heard me right; just 45% as large. If you take an iPad and hold it upright in portrait view and draw an imaginary horizontal line halfway down the screen, the screens on the seven-inch tablets are a bit smaller than the bottom half of the iPad display. This size isn’t sufficient to create great tablet apps in our opinion. Well, one could increase the resolution of the display to make up for some of the difference. It is meaningless, unless your tablet also includes sandpaper, so that the user can sand down their fingers to around one quarter of the present size. Apple’s done extensive user-testing on touch interfaces over many years, and we really understand this stuff. There are clear limits of how close you can physically place elements on a touch screen before users cannot reliably tap, flick or pinch them. This is one of the key reasons we think the 10-inch screen size is the minimum size required to create great tablet apps. Of course, Jobs was famous for misleading competitors through offhand comments, like the ones he made about not watching video on tiny screens before Apple introduced an iPod with video capabilities. Still, his comments make some sense, as Apple’s iPad mini was said to be 7.85″, rather than 7″, which makes a real difference when it comes to usability. Joel Bernstein took a look at how Apple’s Human Interface Guidelines have prepared conscientious designers for the smaller screen already. Rene Ritchie at iMore also delved into how developers could go about translating apps to a smaller iPad, noting that scaling iPad apps down, rather than iPhone apps up, is the way to go. Appadvice also had a good breakdown of why 7.85″ is such an important number for Apple. The way we saw it, the iPad mini will be a hot seller for Apple as a conduit for its worldwide content offerings, which are far more expansive than the competition. Google and Amazon’s movies, music and apps are available to mobile device users in far less countries than Apple. Even Amazon, with its massive success in selling books, has had so difficult a time that its apps and movie streaming services are still only available in one country. If Apple’s goal is to own the tablet market whole, which it has had great success in doing so far, then an iPad mini makes sense. But it will do so not because it needs to compete with the Kindle Fire HD or the Nexus 7. It’s the content that will sell smaller tablets, and Apple is the only company around that has a worldwide distribution network that supports it. We’ve talked about the dominance of the iPad in the past, and the possibilites that Apple has to truly define a small tablet market with a smaller iPad mini. A number of factors contribute to the iPad’s success, including Apple’s profit margins and supply chain, its software integration and its Retail Stores, which provide a guaranteed high-quality conduit for iPad sales. Samsung, for instance, sold around 1.4M Galaxy Tab units in the U.S. between June of 2010 and June of 2012. Apple has sold 34M iPads in the U.S.. While both companies also sold their wares worldwide, the U.S. numbers alone are pretty shocking. If you want to get an idea of what the future of the iPad’s market share dominance might look like, you need to look to another product where Apple was able to lead on user experience, hardware prowess and software ecosystem, the iPod. The iPod is an example of a product that came onto a scene full of clunky and poorly designed products and captured an intense amount of mindshare right up front that it never really lost. The iPod’s 10-year long tail has yet to flame out, although it is the only Apple product line showing declines. This means that, given the similarities in its positioning, along with the improvements Apple has made to its production pipeline, the iPad could easily follow suit and dominate the tablet market for the better part of the next decade.